The sun’s out and everyone is heading to the beach in their masses. Unfortunately, it’s not all fun in the sun. The sun is extremely potent this time of year and since most people are spending time outside in summer, best to know how to be sun-smart and avoid spoiling the holiday with sunburnt bodies. UV refers to ultraviolet light emitted by the sun. The sun emits radiation in three bands, namely UVA, UVB and UVC. UV rays have disruptive effects on skin cells, which cause sunburn and can eventually result in skin cancer. UVA – UVA rays penetrate deep into the skin, throughout daylight hours. These rays don’t cause sunburn but are responsible for photo-aging of skin, DNA damage and potentially skin cancer. UVB – UVB rays are responsible for sunburn, tanning, as well as photo-aging of skin. UVB rays are responsible for the formation of Vitamin D and are also linked to skin cancer. The intensity of these rays is dependent on the time of day, season and location. UVC – UVC rays are the shortest rays. The rays are filtered by the ozone and do not reach the earth surface, causing no skin damage. Being sun-smart includes wearing protective clothing, wide-brimmed hats, and sunglasses with a UV protection rating of UV400 to safeguard the skin and eyes from the sun’s radiation. Ideally one should try to plan around the sun. Plan your outdoor activities in the early morning or late afternoon and as far as possible try to stay in the shade. Sunscreen should technically be the last resort but is still very essential whenever one will be exposed to the sun. 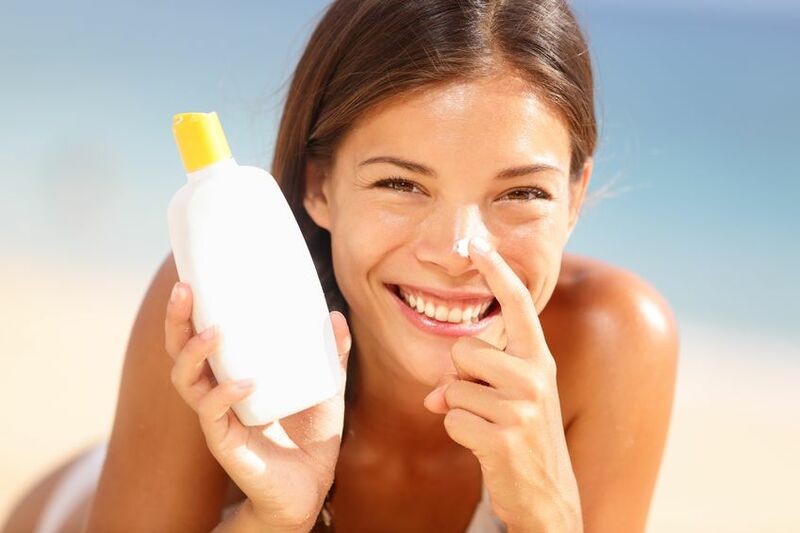 SPF (Sun Protection Factor) can be found on sunscreen bottles. It is a measure of how well the sunscreen protects the skin against the sun’s UV rays. SPF indicates how long one can be exposed to the sun before burning when protected by sunscreen, compared to not wearing any sunscreen. South African cancer watchdog, CANSA, recommends an SPF 20-50. SPF is however not the only thing to keep in mind when it comes to sunscreen. Other factors contributing to the efficacy of sunscreen include water resistance and sand abrasion, film thickness, and also how often one reapplies. Not only is applying and reapplying sunscreen a schlep, but it can also give a false sense of security when in the sun, which can result in severe sunburn. Depending on skin type, sunscreen can be a skin irritant or cause various reactions such as phototoxic and photo-allergic reactions. Then there’s the comedogenicity in sunscreens which is probably the main reason why people avoid wearing it. Simply put, a comedogenic ingredient means that it clogs pores. It does so by increasing follicular hyperker­atosis— an increased production of keratin in hair follicles. Over time, this leads to clogged follicles and comedones. But even though one might think that is enough reason to not wear sunscreen, the fact remains that wearing it can prevent skin damage and slow down skin ageing (sun exposure leads to the majority of wrinkles and sunspots). Furthermore, it can help decrease the risk of skin cancer, which is enough to be convinced that one should invest time and effort into researching various sunscreens, their ingredients, and choosing a suitable SPF for one’s own skin type. Know your skin type and find out which SPF is best for it. Don’t assume that an SPF 100 will give twice as much protection as an SPF 50. In reality, the extra protection is negligible. SPF 50 sunscreen blocks 98% of rays whereas SPF 100 blocks 99%. When applied properly, sunscreen with SPF 30-50 will offer adequate protection. Apply sunscreen 20 minutes before going into the sun in order to allow the skin time to absorb. When applying, use about 2 tablespoons for the body and a dollop the size of a R2 coin for the face. Always reapply regularly (approximately every two hours), especially after swimming. Don’t forget to cover all areas of the skin that will be exposed to the sun – no matter how small the area. When choosing a sunscreen, do select one that bears the CANSA SunSmart Choice Seal of Approval. Use sunscreen within a year of opening it. Don’t be misled thinking makeup with an SPF is enough, it’s not. Don’t forget the lips. Use a lip balm with an SPF and apply regularly. According to CANSA, at least 80% of sun-induced skin damage occurs before the age of 18 and only manifests later in life. Thankfully we can reduce the risk of skin cancer if we respect the sun. So always remember to be responsible and sun-smart.